The store that carries this sweater is called Opening Ceremony. Click here to check it out! i love this look! so hot! Btw. Ur blog is so cool. I definetly start follow this. the sweater is very different but very loud. i like loud things. That Sweater Is Hot! Her Style IS sO HOT! Your blog is dope girl! I enjoyed your blog and plan to follow!! Thank you for all the comments! I really like this sweater too :) And thank you for the blog compliments as well, I really really REALLY appreciate them! Yes! 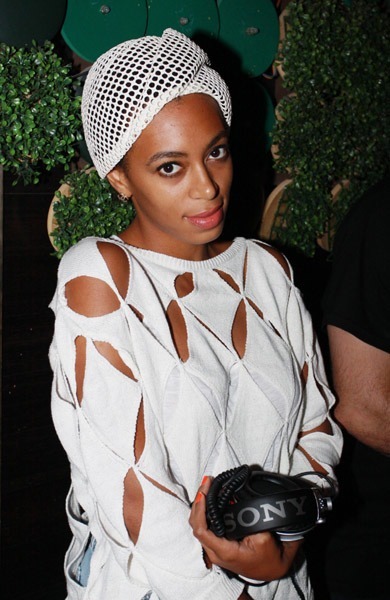 I love Solange, even though this sweater isn't exactly my style I think it is very cool and very fashion forward! Hi, I love the look as well. Did you know that Shontelle is wearing the same shirt in the video "Impossible"? And I think she looks even better with it..! @Sera xo....ok hun, i will check out your blog right now! @Sade Jaye....lol i agree! even though i really like this sweater, i wonder if i would be brave enough to rock it!